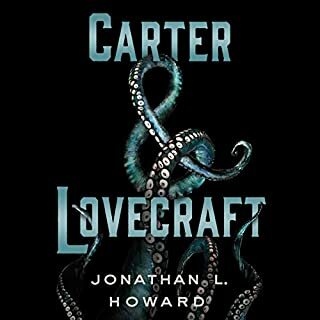 it's clear that the author of Carter & Lovecraft has a deep affection for both H.P. Lovecraft and for classic hard-boiled detective stories, as he borrows liberally from both for this novel. I personally found his two main characters unremarkable, with Carter being eyerollingly cliche. Nothing that happens is particularly surprising, and the stakes fail to feel honestly like stakes; particularly egregious are several scenes where our main characters are in danger and it's impossible to buy that the author would actually maim his beautiful female lead or permanently kill his hard-boiled gumshoe. however, when eldritch aspects come into play we get a few scenes that are delightful, culminating in a final few chapters that actually were quite a bit of fun. Overall I'd say it's good for listening to on the go or at the gym, because it doesn't require a lot of attention to follow along. great performance, great production, a fairly predictable murder mystery plot but with solid writing and pacing. The scenes with Dinklage and Megan stand out as a cut above the rest. The biggest problem I faced was figuring out who was talking in several scenes, as characters sound similar and secondary characters fly in and out. 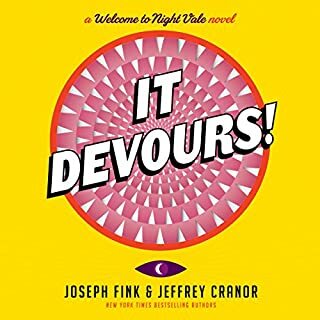 Great book for Nightvale fans! 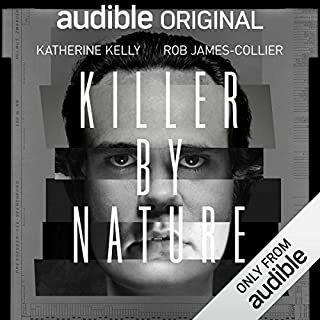 Similar to the first "Welcome to Nightvale" tie-in book, it's not impossible for someone who hasn't listened to the podcast to follow but they'll miss out on a lot of small details. It Devours! mostly focuses on themes of belief, pitting logic against irrationality in its central concept of science vs. religion. There's loveable characters and a few laugh-out-loud jokes, but occasionally gets a little bit too hammy with delivering its soapbox messages. It's a good, well-written story and I'm glad I read it. worth it for the narrator alone! if you're familiar with The Martian, you know what to expect: a fun story jam packed full of ridiculously well researched science. But what shine through was Dawson's narration, which has to be the best I have ever heard, hands down. I loved it. 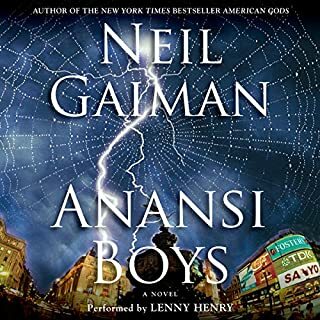 The book is a quick listen, always feeling like it has momentum, and the narrators infuse it with so much emotion that it really comes to life. it left me with a great deal to think about. it's great, but don't get distracted. This is a phenomenal work, make no mistake, but it moves fast. If you're like me and like to listen while doing other things, be aware that you'll constantly be backing up trying to figure out why the main characters suddenly are on a boat, or enemies are now working together. Don't let that deter you! Its fantastic. still one of my favorite fantasies! 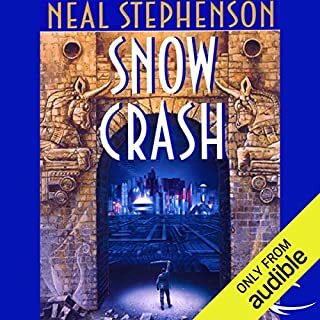 the narrator brought a whole new dimension to a book I read as a teen and wanted to reread. I still love this book just as much as I did then - what a classic, perfect rendition of the coming-of-age story with African mythology as its backdrop! love, love, love. 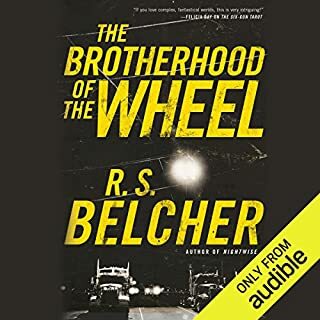 I read other work by RS Belcher and wasn't enamored, so I didn't have high expectations going in - but I was MASSIVELY surprised to find this is one of the most interesting, charming, well-written and well-narrated books I've experienced in a long time. the characters relentlessly draw you in to them - I don't think there was a single character I didn't adore, from Heck's humorous one-liners during fights to the villain's truly bone-chilling characterization. but by far and away the best part was Mr. Pinchot's knockout vocal performance. he brought the characters to life in an amazing way. Lieutenant Commander Shaila Jain has been given the assignment of her dreams: The first manned mission to Saturn. But there’s competition and complications when she arrives aboard the survey ship Armstrong. The Chinese are vying for control of the critical moon Titan, and the moon Enceladus may harbor secrets deep under its icy crust. 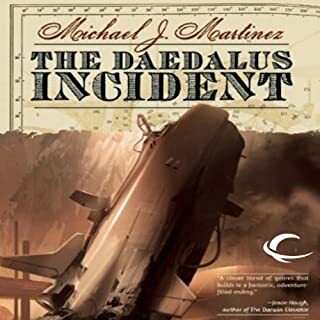 And back on Earth, Project DAEDALUS now seeks to defend against other dimensional incursions. But there are other players interested in opening the door between worlds…and they’re getting impatient. However, while the first novel was uniquely charming, the sequel is absolutely astounding. The biggest improvement is in the characters, who in the first novel tended towards archetypes but here finally cement into real people we care for. In particular I tip my hat to the resolution of the particularly obnoxious teenage crush Weatherby and Ann Baker had in the first novel. The book is, again, not without faults. 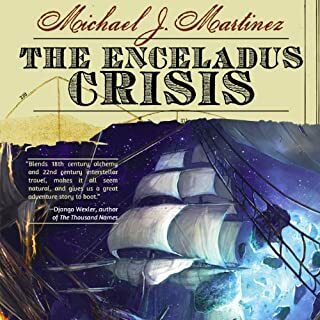 You quickly find yourself keeping up with four inter-woven plots rather than one whole, and I never felt these distinct stories fully meshed in a satisfactory way. However, each story is fascinating in its own right, so it is very hard to mind. My compliments to Mr. Martinez. Looking forward to the final book coming out soon. Mars is supposed to be dead. Bizarre quakes are rumbling over the long-dormant tectonic plates of the planet, disrupting its trillion-dollar mining operations and driving scientists past the edges of theory and reason. However, when rocks shake off their ancient dust and begin to roll seemingly of their own volition carving canals as they converge to form a towering structure amid the ruddy terrain, Lt. Jain and her JSC team realize that their routine geological survey of a Martian cave system is anything but. The only clues they have stem from the emissions of a mysterious blue radiation, and a 300-year-old journal that is writing itself. I wasn't sure what to expect when I picked up this book, but what I got was 'master and commander in space' meets 'Mission to Mars'. 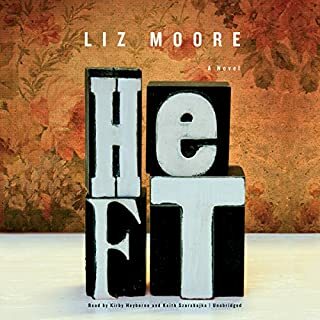 It takes a while for the genres to fully meld together, reading for most of the 15-plus hours as two separate books, but it's a charming read regardless. 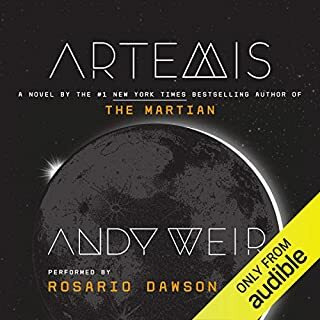 My major complaint is that one side of the equation is vastly superior to the other half, and the juxtaposition does not fare well for our female narrator and her female protagonist. Still, you cannot deny the excitement of alchemy, sailing ships, and space exploration.